Let us take a step back first... What is bottle conditioned beer? Unlike the majority of ordinary bottled beers, bottle conditioned beers are a live product, bottled with a small amount of yeast that provides additional fermentation and maturation whilst in the bottle, leading to a much deeper character and flavour, and a natural, soft carbonation, rather than the forced carbonation used on soft drinks and ‘bright’ bottled beers. Whilst treating the bottle with care in order to avoid a cloudy glass of beer when pouring, the yeast is nothing to fear: in fact, it features many health benefits — it is a rich source of B-complex vitamins, protein, and minerals such as chromium. 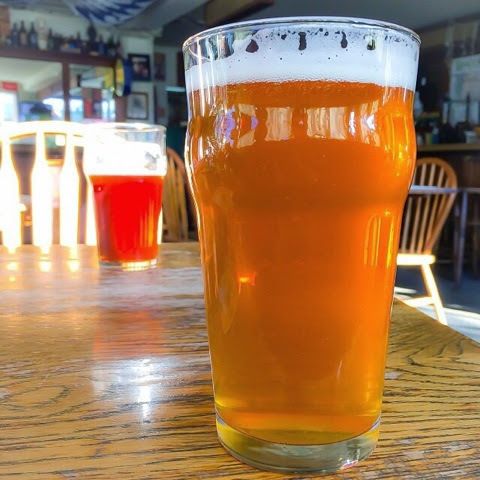 “German doctors used to prescribe bottle-conditioned wheat beer to patients with vitamin deficiencies.” As a probiotic organism, yeast helps your body break down nutrients, regulates your digestive system, maintains your nervous system, and even helps modulate blood-sugar levels. Always store and transport your bottles upright, with the cap facing up. Never store bottles on their sides. When bottles have been transported they really need some standing time to allow the yeast to settle ou again. Store bottles in a cool place away from direct sunlight. Around 12 degrees Celsius is the optimum temperature for storing (and also for serving in many cases). 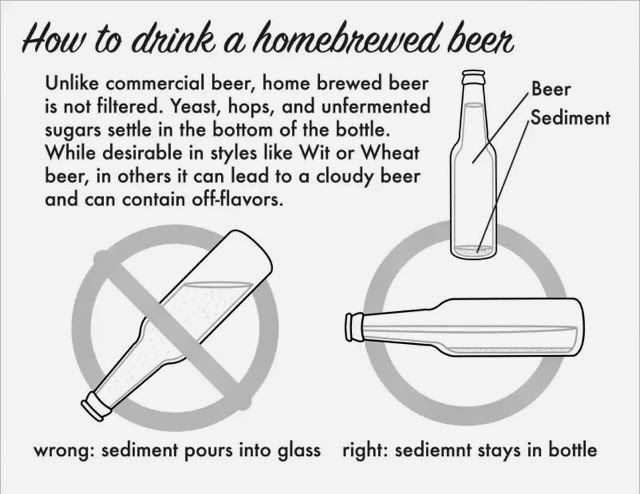 Allow the sediment to settle before serving if it is visibly ‘floating’ or has caused an otherwise clear beer to become cloudy. Pour your beer smoothly into a glass, not allowing it to ‘glug’ out, otherwise the yeast will become disturbed. When pouring keep an eye on the trub. As soon as it creeps into the neck of the bottle, stop pouring... Unless you would like to pour some of the yeast into your glass. By following these simple steps (especially the last) the quality of bottle conditioned beer will speak for itself. So what happens if it is kept at the wrong temperature? If it is stored for too long under temperatures that are too COLD, the flavour will be compromised and the beer will become cloudy and flat as the low temperature slows or stops the fermentation process. 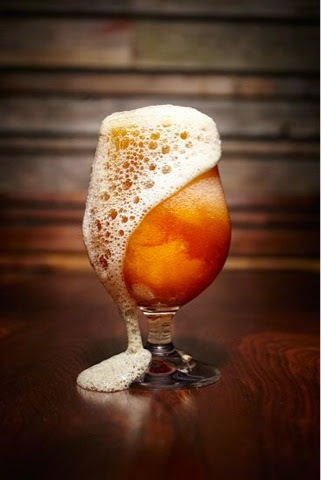 If it is stored in conditions that are too WARM, the yeast goes into overdrive and not only will it consume all the sugars and shorten the life of the beer, but the beer will over-carbonate and will ‘gush’ (foam over) when opened as a result.